Here at Email on Acid we find teamwork to be crucial in our expansive growth in the tech community. Let’s be clear though, when we talk about teamwork, we aren’t just talking about teamwork between our internal co-workers but rather, teamwork throughout the whole tech community to ensure marketers and businesses alike can harness the power of email marketing on a mass scale. That is why we decided to recognize companies that are absolutely killing it in their creative industry. We want to commend our fellow tech friends and entrepreneurs not just for the feel-good factor, but to ensure we are doing what we can to save YOU time and money on trial and error when it comes to all things email. To kick off our new segment called the “Designer Spotlight”, we dug into our support tickets to see what frequently asked questions were flooding our inbox. After jumping into our help desk it became abundantly clear that our audience needs help with template work and custom email design. Email Monks, a company devoted to providing Email Design, Design to HTML and Template Customization Services for emails and newsletters, is the clear winner for the Designer Spotlight this month. 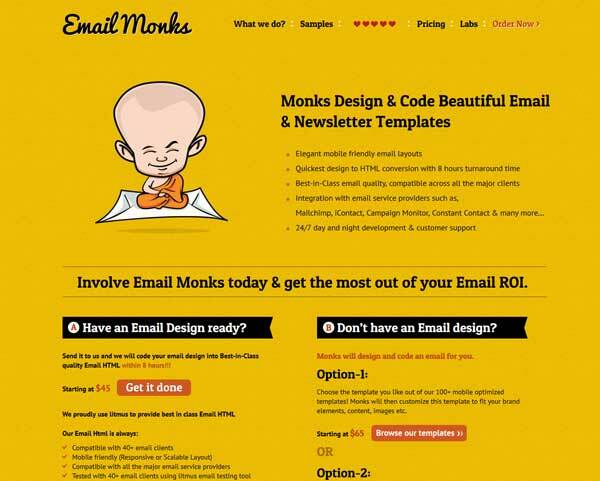 Email Monks is comprised of a group of intelligent designers that offer template customization where you can choose from over 100’s of readymade, mobile-friendly email templates that the Monks will customize to fit your company’s specific requirements and brand guidelines. Need a fresh email template from scratch? …All at a crazy, low cost! 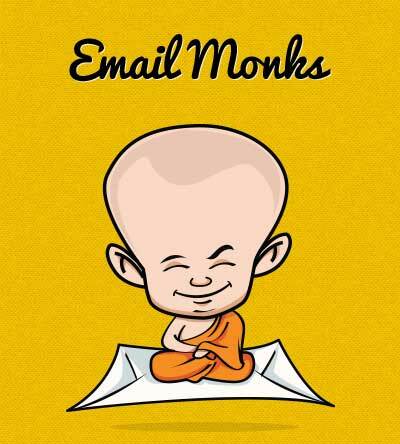 Email Monks has received Email on Acid’s seal of approval so check it out today and access intricate email coding that starts at only $45/email. Even if you aren’t ready to drop a dime on your designing needs yet, Email Monks also offers a wealth of infographics to give you the A, B, C’s for your email design needs! We loved their blog on email design best practices to use as a checklist so you know if your email is finally ready to be sent to your client’s inbox. Do you want the spotlight? Are you a designer, developer or agency that does custom email design? Feel free to reach out to us to be considered for our next designer spotlight. We are constantly on the lookout for cutting-edge, innovative services and strategies with our group of loyal followers! Who you use for your template work? Drop us a line in the comments section below and let us know what you think of our analysis.